Winner of the European Property Award! 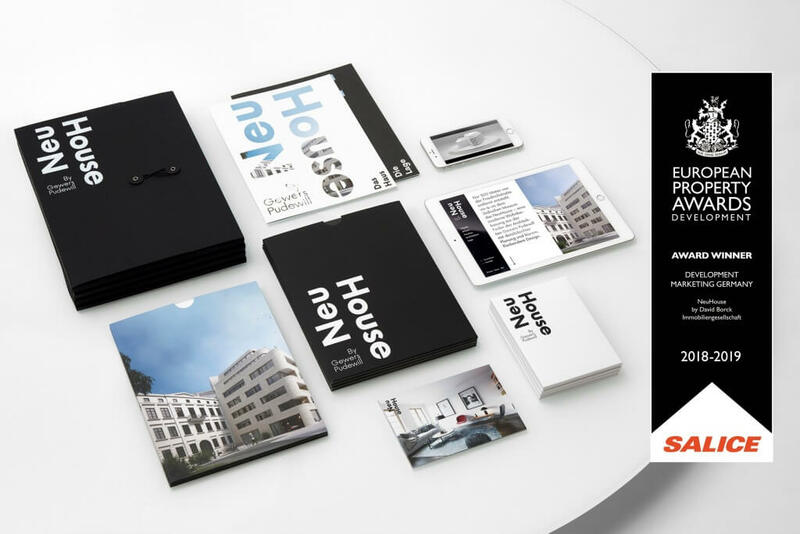 We have been awarded the European Property Award 2018/2019 in the category Development Marketing for our project marketing for the new construction project NeuHouse! The European Property Awards have been held since 1994 and are regarded as one of the largest and most recognized competitions in the real estate industry, making it one of the highest distinctions in the industry. The jury of the prize awarded at the end of October in London, consists of 80 international, independent experts who evaluated the submitted marketing and communication documents regarding criteria like design, quality, service, innovation and sustainability. Thus, the award testifies not only to the winners’ international competence but also to their excellence and professionalism. We are delighted about this extraordinary honor and would like to thank the entire team as well as our advertising agency n3 vision for their outstanding performance.